TAMPA, Fla. and CHANHASSEN, Minn. (October 10, 2014) — On the eve of the 2014 IRONMAN® World Championship presented by GoPro, IRONMAN and Life Time – The Healthy Way of Life Company (NYSE: LTM) announced a planned collaboration to promote the growth of triathlon and to welcome new athletes into the sport through education and premier events. As an “Official Sponsor of the IRONMAN® and IRONMAN 70.3® U.S. Series,” Life Time’s 13 Sprint and International distance triathlons will be contributors to the IRONMAN Age Group Ranking and IRONMAN All World AthleteTM programs. Life Time will expand its endurance coaching and training programs to IRONMAN athletes. Endurance coaching at Life Time destinations nationwide as well as Starting Line 101 Clinics and Indoor Tri events are designed to prepare athletes of all fitness levels for triathlons and provide a variety of training options from complimentary educational sessions and first-timer clinics to full-fledged group training programs and race simulations. Registration for the 2015 Life Time Tri Series will open November 4, 2014. For additional information about the Life Time Tri Series visit LifeTimeTri.com. To learn more about Life Time Athletic Events visit EventsByLifetime.com. 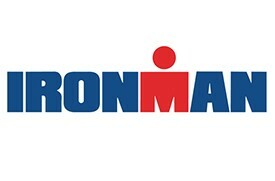 For more information about IRONMAN or to register for an event, visit ironman.com. The iconic IRONMAN® Series of events is the largest participation sports platform in the world. Since the inception of the IRONMAN® brand in 1978, athletes have proven that ANYTHING IS POSSIBLE® by crossing finish lines at the world’s most challenging endurance races. Recognized for excellence through distinguished events, world-class athletes and quality products, IRONMAN has grown from a single race to a global sensation with more than 190 events across five unique brands: IRONMAN®, IRONMAN® 70.3®, 5150™ Triathlon Series, Iron Girl® and IRONKIDS®. For more information, visit ironman.com. As The Healthy Way of Life Company, Life Time Fitness (NYSE:LTM) helps organizations, communities and individuals achieve their total health objectives, athletic aspirations and fitness goals by engaging in their areas of interest — or discovering new passions — both inside and outside of Life Time’s distinctive and large sports, professional fitness, family recreation and spa destinations, most of which operate 24 hours a day, seven days a week. The Company’s Healthy Way of Life approach enables customers to achieve this by providing the best programs, people and places of uncompromising quality and value. As of Oct. 10, 2014, the Company operated 112 centers under the LIFE TIME FITNESS® and LIFE TIME ATHLETIC® brands in the United States and Canada. Additional information about Life Time centers, programs and services is available at lifetimefitness.com.